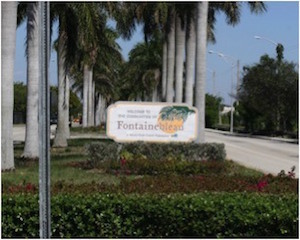 If you work and/or live in Fontainebleau in Miami and you were hurt in an accident, you should reach out to the Fontainebleau personal injury lawyers at the Wolfson Law Firm in Miami. We have been helping people in Miami and in Florida since 1963 and we are ready, willing and able to help you. Just call us at (305) 285-1115 for your free consultation. Our Miami accident attorneys work on personal injury cases in Miami and throughout Florida on a contingency fee. That means you never owe an attorney fee until we obtain a financial recovery for you. In some specific types of cases we can force the insurance company to pay our lawyer fees so that you can recover the full value less any costs as allowed by law. You are more than welcome to call us so we can explain these specific cases in greater detail. At the Wolfson Law Firm, we place a high value on good, clear communication with our clients. Our Fontainebleau Miami personal injury lawyers and staff work diligently to be responsive to all of our clients in both English and in Spanish. Jonah Wolfson is the Managing Attorney of the Wolfson Law Firm. Jonah is a bilingual Fontainebleau Miami personal injury and wrongful death lawyer in Miami. Our Fontainebleau accident and injury team is also bilingual and ready to serve you. Just call us at (305) 285-1115 and let us get to work for you and your family. If you have any questions after any kind of Fontainebleau accident in Miami just reach out to us at (305) 285-1115. We can help you get the answers you need as well as the justice that you and your loved ones are entitled to. Our Miami personal injury attorneys serve the people of Fontainebleau and all over South Florida including the communities of Tamiami, West Miami, Westchester, The Roads, Little Havana, Doral, Hialeah, Kendall, Hialeah Gardens, Miami Lakes and Miami Beach.